Narrator: Welcome to the Hundred Acre Wood, where voices come together in joyful celebration and the seasons jump and turn like pages of a book. 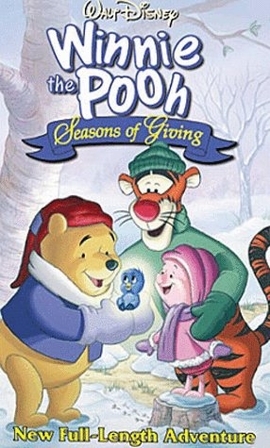 A time of giving, shared with good friends and a silly old bear named Winnie the Pooh. Narrator: And so, another Christmas came and went in the Hundred Acre Wood. It had been a joyous season of giving for all our friends, but especially for a little bear named Winnie the Pooh. Christopher Robin: Merry Christmas, everyone!